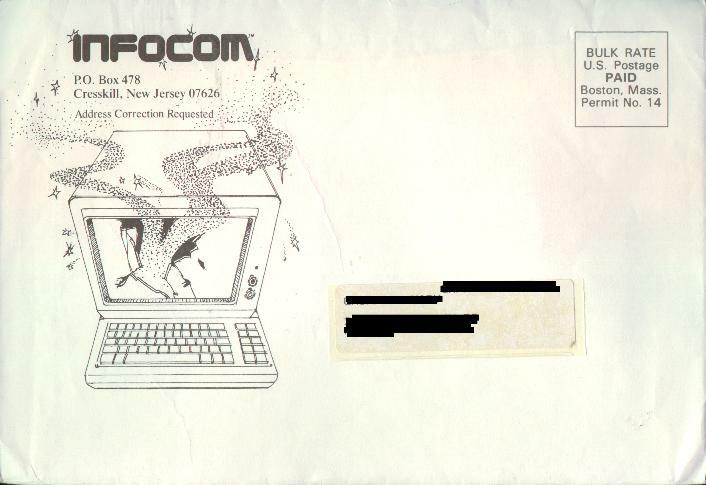 Part of my gallery of New Zork Times, Status Line, and Triton catalog mailing envelopes used by Infocom. If you happen to have an envelope I don't have listed in these pages, please let me know. The "smoking computer" Triton envelope. No artist is credited with this one.